NASHVILLE, Tenn. (WTVF) — Nashville is growing rapidly and even though it hasn't been around for a very long time, the Music City Center is already looking to expand. It's all part of a master plan in the works. During hearings on Wednesday, the Convention Center Authority said they can't even help during the upcoming NFL draft since they'll have two other big events and the marathon filling up this place at the same time. The center is a huge money-maker for the city. They estimate having a $2-billion impact on the economy. It has only been open for 6 years and Music City Center CEO Charles Starks says they need to expand. They need meeting rooms and ballrooms which was approved by their board. With more hotels popping up in the Nashville area, more conferences are being held. So far nearly 1700 groups have come the city since it opened. Every time a group holds a convention, it's estimated those visitors spend nearly $1 million a day in the city. To address this need, a master plan is being put in place. This includes buying more land. They're looking to buy property between 4th and 5th and Lafayette and Elm. It's not a done deal yet, but they do expect to close in the next few months, and possibly use the land for parking or even a WeGo transit hub. 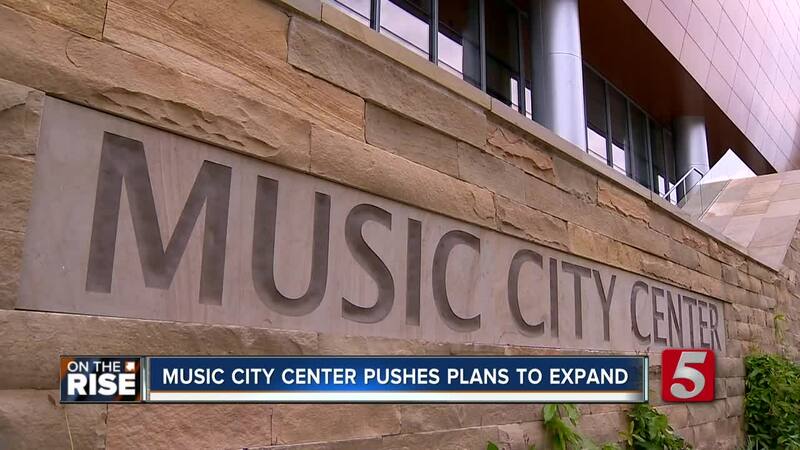 Every year since its opened, Music City Center has been allotted more money out of the budget. Last year they operated with $39 million.